WannaMine ransomware uses sophisticated techniques to infiltrate computers and hide from its victims. Use Reimage to determine whether your system is infected and prevent the loss of your files. WannaMine is a fileless malware which is used for mining cryptocurrency. The malicious program was first detected in October 2017 exploiting NSA EternalBlue exploit kit to infect computers. Such functionality makes malware detection, removal, and prevention quite complicated. WannaMine virus uses the same exploit National Security Agency’s kit that was leaked by Shadow Brokers hackers group in April 2017. However, in May and June, it was used to launch a worldwide WannaCry and NotPetya attacks. 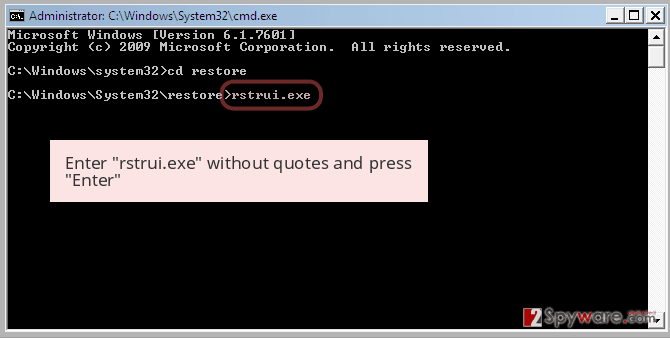 Hence, malware targets and infects unpatched Windows OS computers. Additionally, WannaMine malware uses “living off the land” techniques, meaning that cyber criminals are using and exploiting specific programs or tools that are already installed on the affected computer. In this case, the malware uses Windows Management Instrumentation (WMI) permanent event subscriptions and PowerShell to get persistence and operate on the affected system. WannaMine works as a computer worm. Thus, once it affects one machine, it continues spreading via the whole network. Therefore, within a short amount of time, all computers on the targeted company or organization might become unusable due to the CPU overuse. 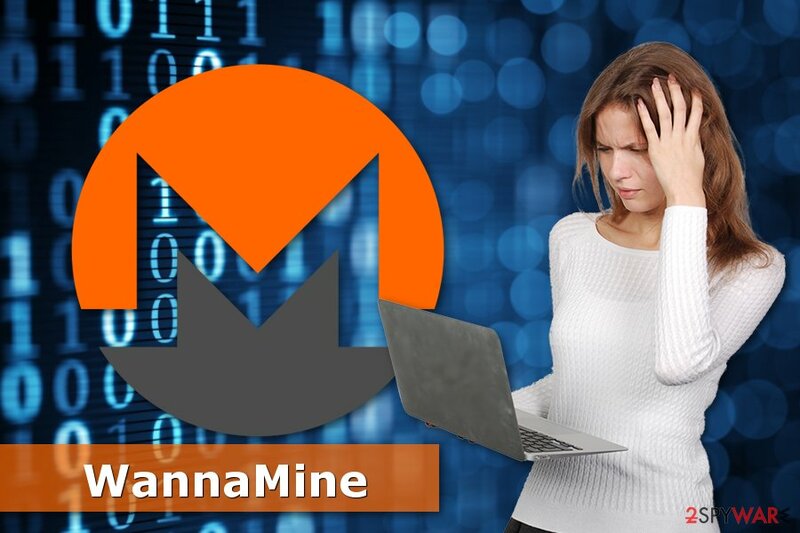 The main purpose of the WannaMine malware is to mine Monero cryptocurrency. The virus tries to take the maximum of computer’s processor’s and RAM’s power to make digital money. According to some reports, malware can use up to 80-100% of computer’s CPU. Due to the high computer resource’s usage, the affected machine becomes nearly unusable. Hence, immediate WannaMine removal is needed. However, this task may not be simple. Regular antivirus programs might not be capable of detecting the virus. Virus elimination requires using next-generation tools. In order to remove WannaMine, you can try using Reimage or Plumbytes Anti-MalwareMalwarebytes Malwarebytes. 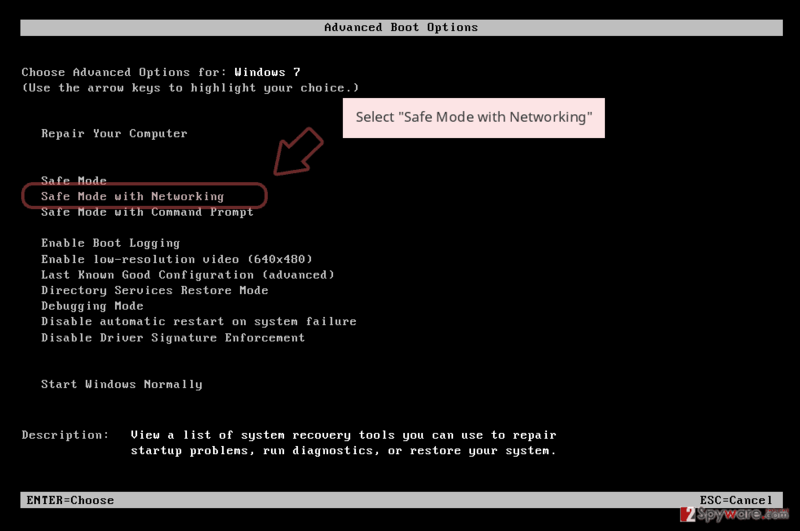 However, it’s also important to disconnect a computer from the network as soon as you notice its infiltration. It helps to stop the virus from spreading and affecting devices connected to the same network. 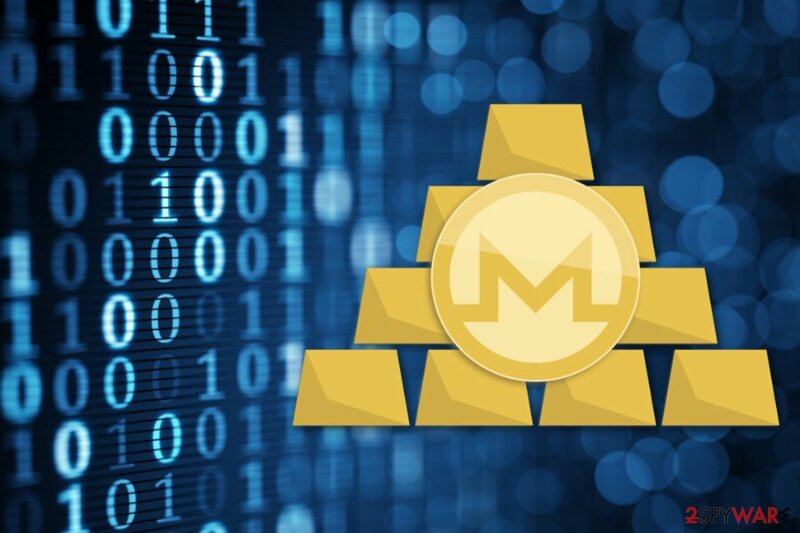 WannaMine virus is a fileless malware that is used for Mining monero cryptocurrency. The virus takes advantage of EternalBlue exploit kit which uses Windows OS vulnerabilities. 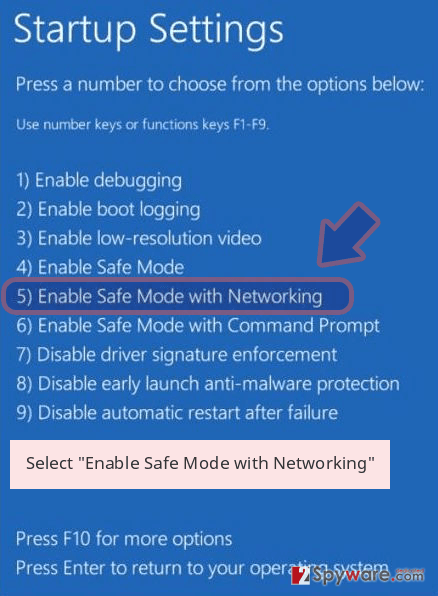 Nevertheless, Microsoft patched these security flaws and provided updates. However, many computer users and companies did not install them. Hence, they become victims of malware. install reputable antivirus software that provides real-time protection from sophisticated cyber threats. Researchers from utanvirus.se also remind that fileless malware is hard to detect and eliminate. Thus, it’s better to take precautions than getting infected with cryptocurrency miner. WannaMine is a fileless malware. Hence, it’s impossible to remove it manually. As soon as malicious components are executed on the system, malware hides its traces. Thus, basic security programs cannot protect a computer from the attack but are unable to delete the virus too. To remove WannaMine from the device, you can try using Reimage, Plumbytes Anti-MalwareMalwarebytes Malwarebytes or other malware removal software. Next-generation tools should be capable of cleaning your computer from the system. 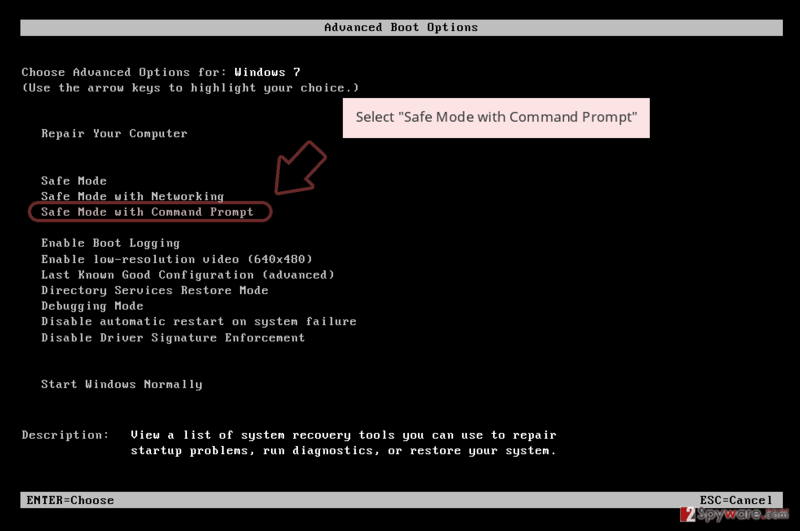 After WannaMine removal, you should take care of computer’s or network’s security. 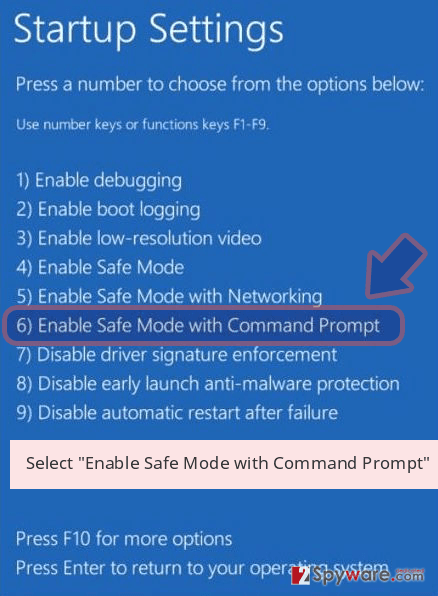 Upgrade to the latest Windows OS, install available updates, and follow general security tips when browsing the web. Log in to your infected account and start the browser. Download Reimage or other legitimate anti-spyware program. Update it before a full system scan and remove malicious files that belong to your ransomware and complete WannaMine removal. 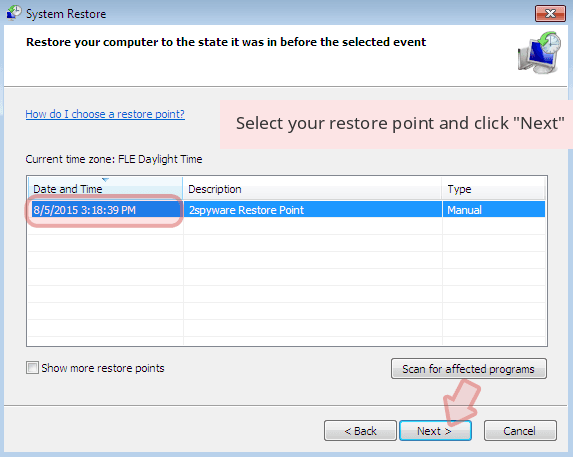 When a new window shows up, click Next and select your restore point that is prior the infiltration of WannaMine. After doing that, click Next. 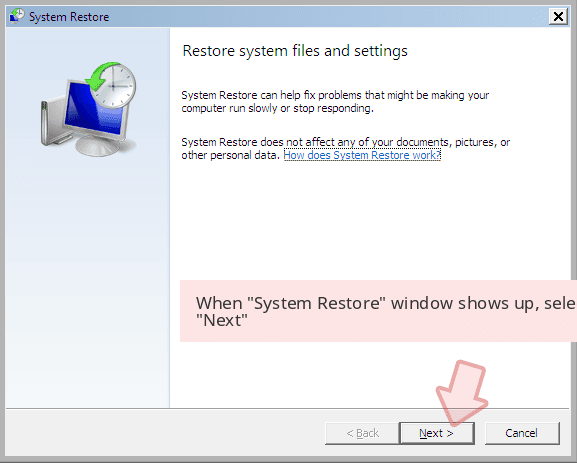 Once you restore your system to a previous date, download and scan your computer with Reimage and make sure that WannaMine removal is performed successfully. 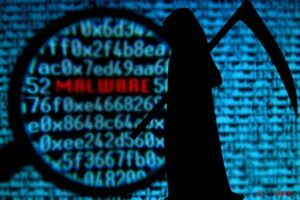 ^ WannaMine – new cryptocurrency malware exposes failings of traditional anti-virus tools. Panda Security. The official website. ^ Ryan McCombs, Jason Barnes, Karan Sood, and Ian Barton. 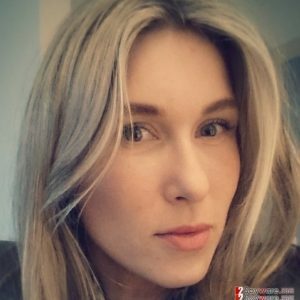 Cryptomining: Harmless Nuisance or Disruptive Threat?. Crowdstrike Blog. Endpoint protection blog. This entry was posted on 2018-02-02 at 03:25 and is filed under Malware, Viruses. You can quickly scan the QR code with your mobile device and have WannaMine virus manual removal instructions right in your pocket. How did you remove WannaMine virus?